•There are many stories about the invention of lollipop. •George Smith declared to be the first to originate the modern lollipop in 1908. •George Smith thought of putting hard candies on a stick to make them easier to eat. George Smith named the discovered delight after his favorite racing horse, Lolly Pop. The name and later became the trademark. •Racine Confectioners Machinery Co. created a machine to automate the lollipop making process. •The machine could make 40 lollipops per minute. •So, the manufacturing company claims credit for inventing the first lollipop machine. •However some also say that Samuel Born, was the first to automate the lollipop-making process. •Lollipop manufacturing developed in California and Samuel Born invented the “Born Sucker machine” in 1916. •This machine had the ability to automatically insert the stick to the candy, which augmented the popularity of the confection. 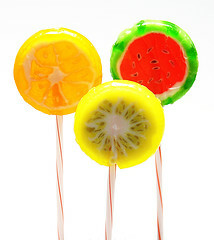 •Gradually lollipops developed into different looks, flavors and colors. So National Lollipop Day is to go out, have fun and enjoy the especially made lollipops on the day. The manufacturers start preparing for Lollipop Day in advance.Different colors, shapes and flavors of the lollipops are manufactured to Celebrate the Lollipop Day. 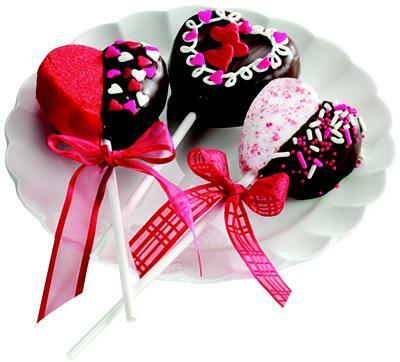 Variety of attractive gift packs of lollipops is available. Lollipop Day is extremely enjoyable for the kids…..
•Previously, the lollipop was a traditional hard candy on a stick or a hard candy on a ring. •It contained bubble gum or chocolate in the center to enhance the taste. •Sometimes the lollipop used to spin or glow. •But the fact is whether traditional or novel, the lollipop is very favorite item for almost all candy lovers. •The lollipop manufacturing process is not very typical. •Candy is made by mixing heated sugar and corn syrup. •After cooking colors and flavors are added. •The mixture then goes to a machine that forms the head of the lollipop and inserts the stick. •Machine can be preset to form a desired shape of the lollipop. •Then the lollipops are cooled. •Finally, it is packed in attractive wrappers and shipped. 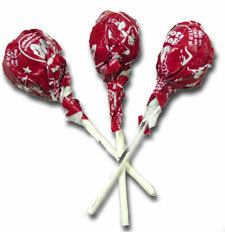 •Tootsie Pops are the largest Selling lollipops. •Tootsie Pops are homegrown and manufactured in Chicago. 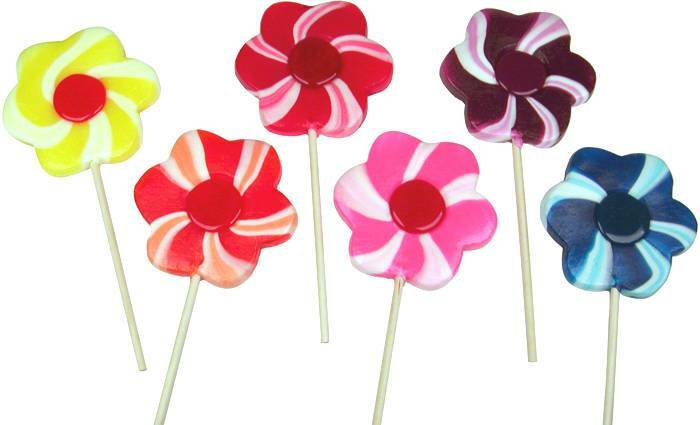 •The production of over 20million lollipops is done each day by the manufacturers. •Tootsie Pop is world the largest lollipop producer. •Many scientists were involved in studing this pop at Purdue University, Yale, Cornell University, University of Michigan. •They were reasearching, to conclude how many licks it takes to get to the center of a Tootsie Pop. •Tootsie Pops does not contain fats and has only 60 calories. Filed Under: CELEBRATION - HOLIDAYS, Contributors, Videos Tagged With: A Celebration of Women, Blow Pops, bubble gum, candy, candy on a stick, candy ring, Carmet Apple Pops, Charms Flat, Chicago, Chocolate, flavours, Halloween Pops, hard candy on a ring, July 20th, National Lollipop Day, raspberry, ring, Santa Pops, shapes, strawberry, sweets for women, taste, Tootsie Pops, Valentine Pops, Woman of Action, woman taking action, women. I’ll be sure not forget lollipop day this year, I love lollypops! frequently. I’m moderately sure I’ll be told a lot of new stuff proper here! Good luck for the following! I am excited about Lollipop day. The only thing frustrating about lollipops is what to do with it until your finished, It was so frustrating that I invented a new Stick called Stickpods© It lets you stand your treat up. You can have your treat now and then, again and again, and again. We are working on getting them on the shelves.